1. Developments (The Blog): If you’re reading this, you’re probably already aware of the blog, so make sure to come back regularly to find out what is happening with the cameras. We update the blog most frequently, and it has lovely pictures and whatnot. 2. Flickr Group: if you’re visually orientated, you can keep an eye on our flickr group, which is where we’ll be storing all of the images related to the project. you can also join as a member, which allows you to post related images. 3. Twitter: We’re on Twitter as @foundacam. if you’re on twitter also, follow us, and we’ll tweet every time something happens. 4. Facebook: If you’re a member of Facebook, you can join our group, where we will also be posting updates (although mostly from the blog). You can also take part in any discussions and invite your friends to get involved. We’ll be doing a map app at some point too. 5. RSS: You can also follow our blog via RSS in case you’re an RSS junkie. If you’ve taken part in the project, we will also send you the occasional email to let you know if we’ve heard about one of your cameras, or just to say hello. Would you like your DMP hit in any other format? Let us know in the comments, and we’ll try and oblige. Camera 29 is returning home! Fantastic news! 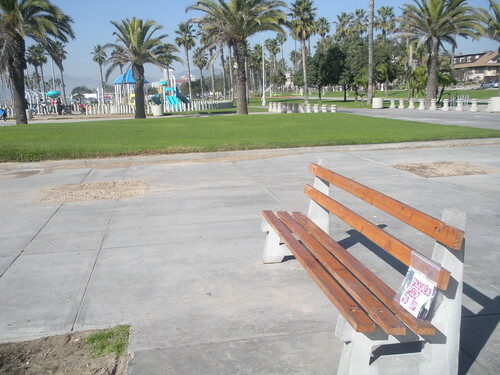 Camera 29 was released into the wild less than one month ago by Melanie A. at Venice Beach, but has clearly already found a number of kind new owners who entered into the spirit of the project. The camera is now winging its way back to me, and as soon as I have the camera, it will be developed and we’ll get the images online as soon as possible. We’re really chuffed about our first complete camera, and can’t wait to see the images. Thanks to Melanie and of course Kris and Matt, and anyone else who picked up Camera 29 along the way. Cafe, originally uploaded by webponce. I was in Stockholm on the weekend for my 30th birthday, so I think its only right that I dropped off the 30th camera at the same time. The camera was left in the the photography section of the Kulturhuset library, just off Sergels Torg, which is pretty much the centre of the Norrmalm district of Stockholm. 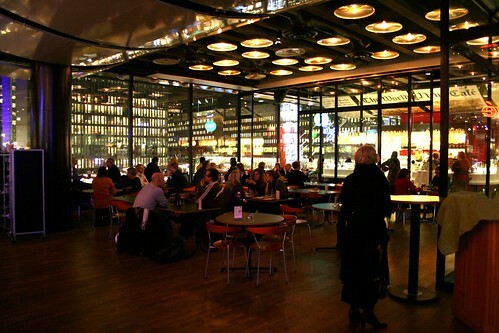 The Kulturhuset is a creative hive of activity, so I can only hope the camera finds an interesting new owner. I’d like to take this chance to also say thankyou to everyone involved in the project so far, especially those of you who have offered to setup your own cameras around the world. The project will be steaming ahead in 2009, so please stay tuned, and have a great xmas break! The lovely Amy T just handed me a camera [...] for my trip home to California. It will stay safe with me until I leave on Friday, then I’ll pass it on when it lets me know it wants to go. The camera was handed to me at the BBC offices on Langham Place. Thanks for being one of the rare few who have a camera Isabel, can’t wait to hear more about its journey. You can read all about Camera 25 at its page. I found another really nice project this morning, where Nat Friedman and friends handed out a whole load of disposable cameras to the kids in the poorest areas of Rio. The images captured are fascinating and moving, as well as just great pics. The return rate was pretty good; many of the kids were waiting in the street from 7am to noon for us to pick up their cameras. We got 26 back out of maybe 32 we handed out. This amounted to 632 photos. Many of them are excellent, especially for someone who’s probably never used a camera before, and with a cheap disposable. Some are sad, some are funny. 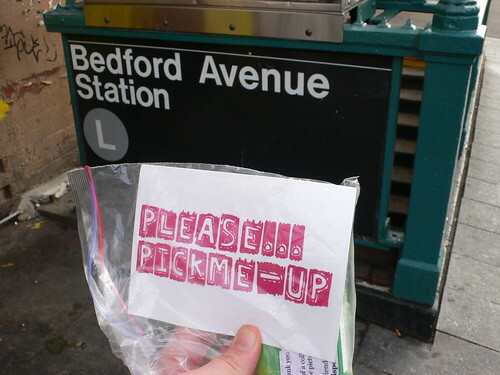 A big part of the project is inviting people around the world to take part by creating their own camera bags. We have a number of fantastic people who have signed up to help out – their reasons for getting involved as are varied as the locations they write to us from. Just for fun – I took part in a fun project many, many, years ago called the “nicker exchange” which was a sort of like a chain letter when you joined you had to buy a pair of nickers in the persons size who was at the top of the chain letter and then send it in the post to the person at the top of the chain, who received a lovely pair of NEW drawers in the post every couple of days. Welcome to Tracy and all of the wonderful people who have already created camera bags for us, or are in the process of doing so. Lovely related project being run by Tim Devin – a custom magazine created collaboratively by a community and left somewhere for a passerby to read. P1020114.JPG, originally uploaded by Ferg. Here are some picks of DMP east coast action. Fingers crossed someone will have taken up the baton. The images of the camera are up on the camera page itself and the flickr group. 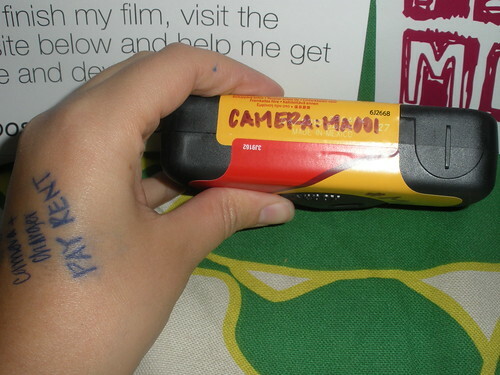 This is our first East Cost US camera, so thanks to Ferg for this one. Camera’s 25, 26 and 27 into the Winter’s night. Video Blog above, but for those of you who can’t see the video, here’s the text only version. Camera 25, which brings us up to our quarter century, was given out over a meal of Ox Heart and Snails in East Dulwich on Wednesday night to Amy T.
Camera 26 was handed over to Simon A, after I met him at the Spectator dinner for a charity I’m involved in. Camera 27 was a DIY camera bag created by Barry D in Liverpool, and has been hand-carried to Barcelona and dropped off at the Sagrada Familia. We’re awaiting more news on the drop off point. In other news, we’re changed the instructions on the cards included in the camera bags, as well as on the cameras. The new wording attempts to bring people to the website if they find a camera, so more emphasis on letting us know where you’ve found cameras. Hopefully this will make more people respond when they find a camera. We’ve also made each URL on the camera unique, so we can get an idea if people are visiting the site, but not telling us, so at least we know our little disposables have found a new owner. If you are creating your own camera bags, don’t forget to tell us, so we can give you a unique code, so you’re able put this on your camera and make the most of the new tracking. And finally (always the light hearted story), we’ve been blogged about by the lovely people at moo.com, who think our project is right up their street. Yay! to use a moo phrase. We love moo, and use them for the postcards you’ll find with the cameras – but also now we have lovely Disposable Memory Project stickers containing our kinda logo thingy – a play on the Keep Britain Tidy man, but ours is tossing away a camera. I’ll be putting a handful of stickers in each camera bag, so feel free to plaster yourself with them.